Islamic Center of Murfreesboro v. Rutherford County. The Becket Fund for Religious Liberty (n.d.). Retrieved from https://www.becketlaw.org/case/islamic-center-murfreesboro-v-rutherford-county/. Islamic Center of Murfreesboro v. Rutherford County. (Apr. 04, 2019). https://www.becketlaw.org/case/islamic-center-murfreesboro-v-rutherford-county/. "Islamic Center of Murfreesboro v. Rutherford County." The Becket Fund for Religious Liberty. Accessed [Apr. 04, 2019]. https://www.becketlaw.org/case/islamic-center-murfreesboro-v-rutherford-county/. In 2010, the Muslim community in Murfreesboro, Tennessee began building a mosque and community center. Little did they know, their innocuous plans would incite a maelstrom of violence, bigotry and an ugly legal battle. The Muslim community soon faced vocal protests from local residents who claimed among other things that Islam is not a religion, and that the First Amendment doesn’t protect Muslims. Unfortunately, these hateful words were backed by even more hateful violence. There were numerous instances of vandalism and arson, and even a bomb threat that ended in a federal indictment. That is when Becket stepped in. The case was urgent—the congregation wanted to be allowed to use its mosque in time to celebrate Ramadan, the holiest time in the Muslim calendar. So Becket filed for an emergency order allowing the congregation to use its mosque. We argued that subjecting the mosque to a higher legal standard than a Christian church violates the Free Exercise and Equal Protection Clauses of the Constitution. 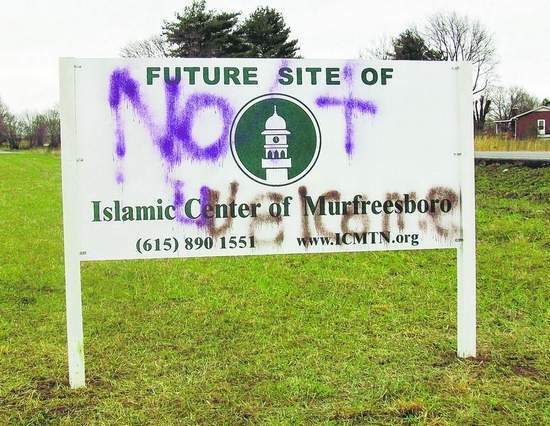 On July 18, 2012, Chief Judge Todd Campbell of the Nashville federal district court ruled that Rutherford County, Tennessee, must allow the Islamic Center of Murfreesboro to complete the inspection process so it can use its mosque building in time for the religious holiday of Ramadan. Finally, on August 10, 2012, members of the Islamic Center used their newly built mosque for prayer services for the first time. And on June 2, 2014, the Supreme Court rejected the mosque opponents’ final appeal, preserving Becket’s victory and ensuring that the Islamic Center of Murfreesboro is free to continue meeting at its newly built mosque. No religion is an island. When the rights of one faith are abridged, the rights of all faiths are threatened.